Dianne Petrunak, academic adviser for theDepartment of Plant Science, has received the Excellence in Academic Advising Award from Penn State’s College of Agricultural Sciences for 2018. Sponsored by the College of Agricultural Sciences Alumni Society, the award recognizes faculty members and staff for overall effectiveness in student advising, individual student goal setting and career planning, and personal counseling. Faculty, students, administrators and alumni recommend candidates. Petrunak currently coordinates and advises about 90 students in the turfgrass science major. She also coordinates and advises 400 students enrolled in five turfgrass programs offered through Penn State’s World Campus. This includes students seeking the basic and advanced turfgrass management certificates, associate’s degree in turfgrass science and management, bachelor’s degree in turfgrass science, and master of professional studies in turfgrass science. Petrunak’s duties also include outreach and advising support to all turfgrass students at Penn State campuses around the state. She regularly visits those campuses to meet with students and keep local advisors informed on turfgrass science news. Similarly, Petrunak coordinates and participates in various student recruitment events and then works with prospective students and their families. She also conducts new-student orientation for turfgrass science students and is involved in the annual student internship and job fair. Peter J. Landschoot, professor of turfgrass science and director of graduate studies in agronomy, described Petrunak as “the heart and soul of the turfgrass program” and praised her for being a great source of information to both faculty and students within the major and even the college. A 2016 recipient of the Community of Advising Excellence Award from the college, Petrunak has published 14 peer-reviewed scientific documents. 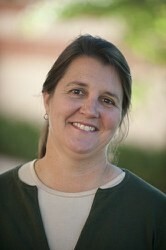 She teaches several classes and labs, including Botany 902A, Turf 434, Turf 921A and INTAG 499J. Petrunak holds a bachelor’s degree in plant science and a master’s degree in plant pathology from Penn State.